Hi everyone I'm Jack Red, holy crap I'm going over board with this one. I just covered Banjo-Kazooie vs. 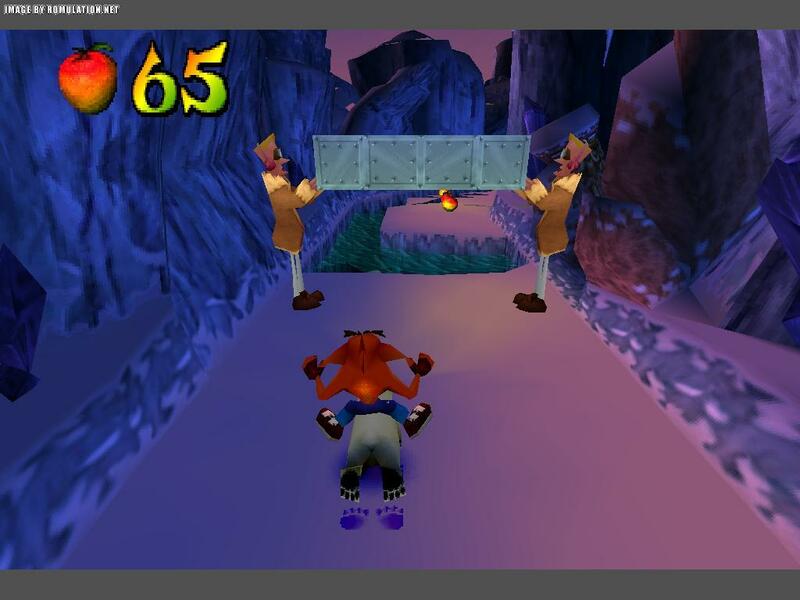 Crash Bandicoot. Which by itself was tough but it has absolutely nothing on this next one. I am going to put Banjo-Tooie vs. both Crash 2 & 3 in a face off to determine which platformer sequel was better. Banjo-Tooie still stands as one of Rare's greatest games ever made. Featuring massively worlds filled with content. A game like this you wouldn't even believe exists on Nintendo 64. Usually similar in size games are mostly found on PlayStation. This greatly differs in many ways from the previous game. Both Crash Bandicoot 2 and 3 are still among the finest PlayStation sequels ever made. Both of them greatly improved over the original in many ways. Hell I'll just say it both of them are the real reason I want the newest version. A lot of levels with some of the best bosses of the franchise. Crash 3 really pushed the limits in what they could do. WOW this is going to be a nail biter for sure. Banjo-Tooie has two magic characters that transforms you into all kind of stuff. Most moves from the original are already present with plenty of new ones. All three of these games has a lot of unique stuff to cover. Crash has more variety of levels to test your gaming skills. Banjo-Tooie has much bigger levels taking more time to fully 100% than doing the same to Crash 2 & 3. Thankfully after finding pads placed around each level. You can teleport through out them making traveling easier. Back tracking is sorta more difficult in Crash series. You have to find secret exists to go to an previous level to get a particular collectible. Let's be honest I highly recommend watching a good series of videos or reading a great guide. These games are packed with a lot of stuff to easily miss out on all the collectibles. Which does affect the endings if you want the true ending that is? All three of these games are mind blowing for their time & consoles. Once again voice acting is perfect in Crash series. I will say Banjo-Tooie made it less annoying to listen to this time around. I rather just read the texts instead. Can I be more honest has anyone played Donkey Kong 64? I felt how they went about animal sounds was better than Banjo series. Yes I just stated that sue me. They really didn't hold back on those death animations in Crash 2 and 3. Some of them are hilarious for their time. All of them does a better job with keeping your process after losing your lives. You could cheat in Banjo-Tooie but the results are the same as Banjo-Kazooie. In other words just don't do it. The controls are perfect for all three of them. Banjo-Tooie does have tougher bosses & you can quickly get confuse what to do or where the go. You may have that problem for 100% Crash 2 and 3 but mostly straight forward games. They really make going for the collectibles a lot of fun. Some of them can challenging requiring a lot of practice or just luck in general. WOW this is going to be a lot harder than the previous entry in this series. I have to say I have to go with Crash 2 and 3. 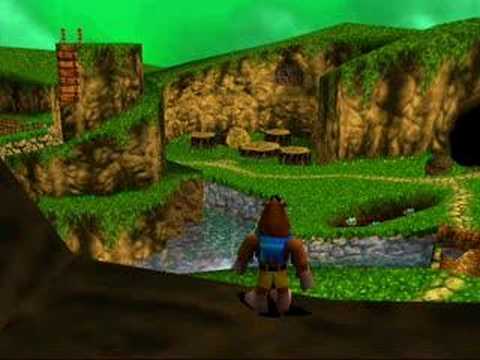 I felt the worlds in Banjo-Kazooie had the perfect size for each one. I couldn't shake being over whelmed by the insane size of them in Banjo-Tooie. Technically you have a lot more to memorize to beat it in the long run. You got tougher bosses with a very difficult final boss. Widely known as one of the absolute toughest video game bosses in history I'm not kidding. I do prefer both Crash 2 and 3's soundtracks over Banjo-Tooie's. You really can't compete against those amazing voice acting in Crash series. Although a little more confusing for attempting 100% runs. It turns out to be easier to follow & more fun. Also Crash 3 has more interesting variety of levels. There are motorcycle racing, flying, riding on animals and a few others. Better overall sound effects with plenty of great death animations. Easier to track your overall process. I have to give the win to both Crash 2 and 3.